Search and Rescue Control (SARC) was organized in 1966 with a few Mesa County Sheriff Posse members and citizen band radio operators. It is now a non-profit organization with several individual clubs or groups. Excluding the officials of the Mesa County Sheriff’s Office (MCSO), SARC is strictly a volunteer organization. All manpower and personal equipment is given as needed. When working on an official mission, all volunteers (as required by Colorado law) are under the jurisdiction of the MCSO. When a request for assistance is made by the MCSO, SARC volunteers are dispatched as needed to complete the mission. These volunteers may be on foot, horseback, 4X4 drive, ATV, boat, or snowmobile as needed. Whatever the conditions, members do their best to meet those demands. 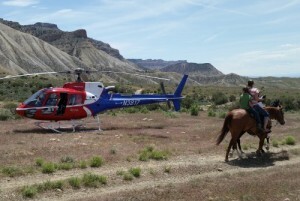 Mesa County Sheriff’s Posse is a volunteer, non-profit group registered with the state of Colorado. Our search and rescue members carry out a tradition of helping others by dedicating time, information, skills equipment, and money to the relief of suffering, and to the humanitarian cause of saving lives. Our members are trained, willing and able to go out at any time in any type of weather (as long as our own safety is not compromised) to search for lost or missing persons and to aid and assist them in any way needed including emergency medical care. Our volunteers pay for and maintain their own horses, trucks and trailers and self-deploy when called by responsible authority to help with a lost, missing, or injured person. Horses are faster, can carry more supplies to stay out longer, offer a higher viewing platform for searching, and provide a more rested rescue worker when a subject is found. Horseback units are used to transport needed equipment such as medical equipment, litters, and radio equipment. Doctors or other personnel can be transported in a timely manner as needed. 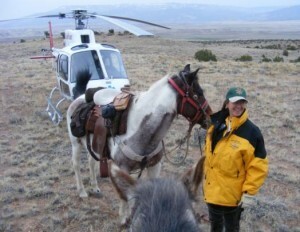 For the rescue, many types of injuries do not prevent rescue on horseback. This cuts recovery time and may reduce the number of rescuers needed, since the subject does not have to be carried out of the field on a litter. As the horse component of an overall team effort, radio relays can be quickly stationed, and trails can be quickly checked and blocked if needed. Backpacks can be carried on an additional pack horse, leaving the foot searchers more mobile and not as prone to exhaustion. While not comparable to dogs for their air-sent capability, horses are quite aware of their surroundings and will alert at anything out of the ordinary, thus warning their rider who may be looking in another direction. Trained searchers are used successfully as clue finders due to the elevation of the horseback searchers eyes above the ground, usually 8 or 9 feet, and the mounted searcher is able to see further with fewer areas blocked by bushes, grass, etc. Once a possible clue has been located, riders are able to tether the horses a short distance away so that the scene remains undisturbed for preservation purposes. Horseback units are self-sufficient and can pack in for days without returning for supplies. Each rider carries supplies on their horse along with first aid equipment and outdoor survival gear. All search horses are trained and strengthened through endurance riding on mountain trails. Search and rescue horses are also trained not to react to unusual or loud noises like motor vehicles, dogs, people, aircraft, etc. Horses are not prone to hypothermia, and can make significant time in severe weather, high winds, and even snowy conditions, preventing the searcher from getting wet when crossing streams. Horses often seem less threatening to a missing person. Missing children may even be attracted to the horses. For safety reasons, night riding is limited. Horses can be used at night, however only under known circumstances on safe terrain.